I must say that I quite enjoyed my little tinkering with the 1981 Topps design, and I thought I'd give it another go. Next stop for the Delorean Time Machine is the fall of 1986 during a Topps design meeting for the upcoming '87 release. I won't bore you with made up dialogue about how the 87 set was designed, but I imagine (obviously) it was an homage to the 1962 release. A 25th anniversary homage. And that can only mean two words, wood grain. The 1962 set is okay in my book. Not terribly exciting, but I do like the peeled back photo look. Makes it feel like a scrapbook to me. Anyways, 1987 rolls around and we are bombarded with what must be the most overproduced set in the history of humanity. There were even 17 cards per pack, instead of the standard 15 at the time. Which meant each wax box doled out 612 cards, a 72 card increase per boxes from years past. I for one am dead tired of the 87 wood grain. I have a 5,000 count box full of these cards, plus an unopened wax box (612), two sets in boxes (1,584) and another set in a binder (792) for a whopping approximate of 8,000 1987 Topps. Ugh. As my wife would say, it would make good kindling. 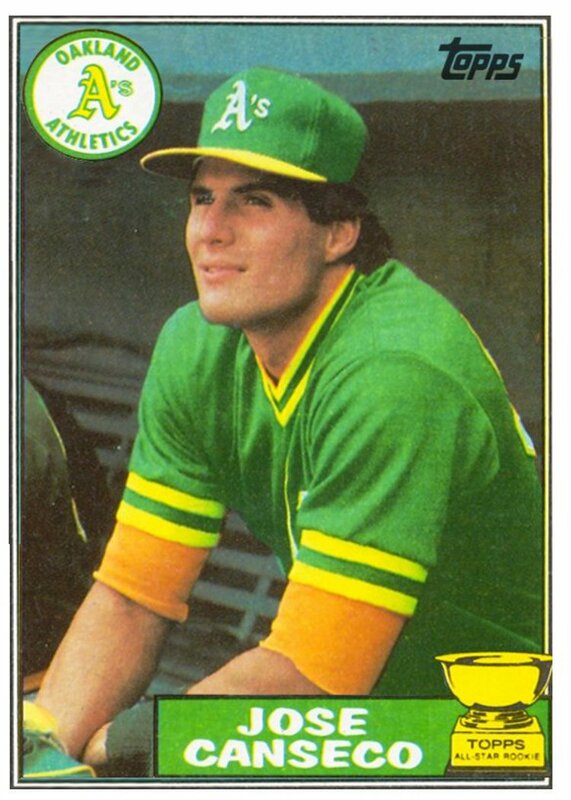 After staring at a mind numbing 8,000 1987 Topps, I needed to change the design. First off would be sending that wood grain pattern to the lumber mill. Good riddance. Next up was expanding the picture to be more like a 1991 Topps. Photos to the border, or balls to the wall for you Little John fans. Move the Topps logo to the upper right, add a thicker boarder, and voila. A new cleaner take on a super stale design. I never liked the look of the '87 set... hate woodgrain on a baseball card. 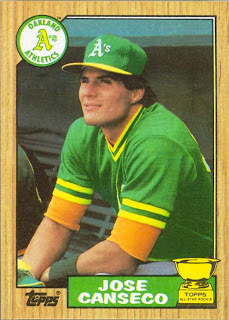 Maybe it's the shade... 'cause I hated the '83 Fleer look too, and it was similar. I like what you did to this card... it frees up the photo too. It felt cramped in a wooden box before. I don't have anything against the wood-grain look, but I would much rather see a larger image of the player on a card. I like it. Nothing against the wood grain myself - but I completely missed years '86 and '87 - so I never had the chance to get sick of it. Speaking of which, if you're a trader, I'd love to pick up any spare '87 Reds or Tigers. I have a few, so if you're interested, let's e-mail. You must be kidding that you think your plain design is better than the original wood grain card, let a lone anything special. Overproduced? YES! bad design? NO! Regardless, could the design be improved? YES! Is your an improvement? NO! I wish they never overproduced it because they were a nice set that most people really liked but got sick of due to the overkill. You took one of my all time favorite and classiest designs and made it totally forgettable. Neat idea though. The only problem I ever had with this design was that there's no indication of a player's position on the front.